THE CHEERLEADER MAGAZINE IS COMING TO PLATINUM ATHLETICS June 27th!! We are SO EXCITED to have some of the best in the business coming to Platinum Athletics! This will be a great opportunity for anyone that is looking to increase their skills and experience in either basing, flying, group stunts or coed stunts! This camp is open to ANYONE and can accommodate ALL AGES AND SKILL LEVELS! 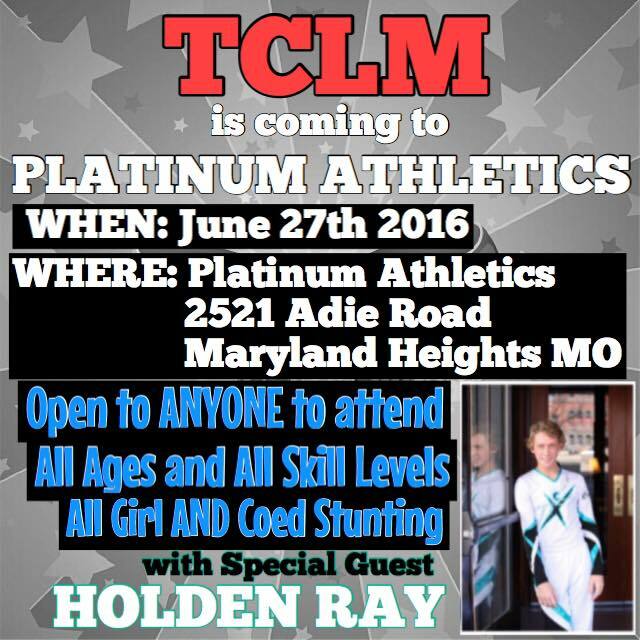 We will have all girl stunt groups, coed stunt groups and a VERY SPECIAL GUEST….HOLDEN RAY! !